We all know that Bugatti is a renowned French's luxurious automotive brand made in limited quantities for a limited circle anyway. The more so if we looked at the following supercar figure. 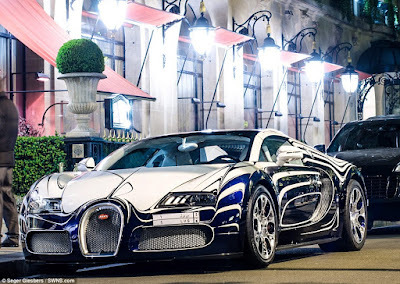 Bugatti Veyron Grand Sport L'Or Blanc like a very beautiful work of art in the form of a supercar, as well as the car also is a spectacular work of Bugatti in cooperation with a Berlin-based porcelain company named Königliche Porzellan-Manufatur Berlin (KPM) in 2011. 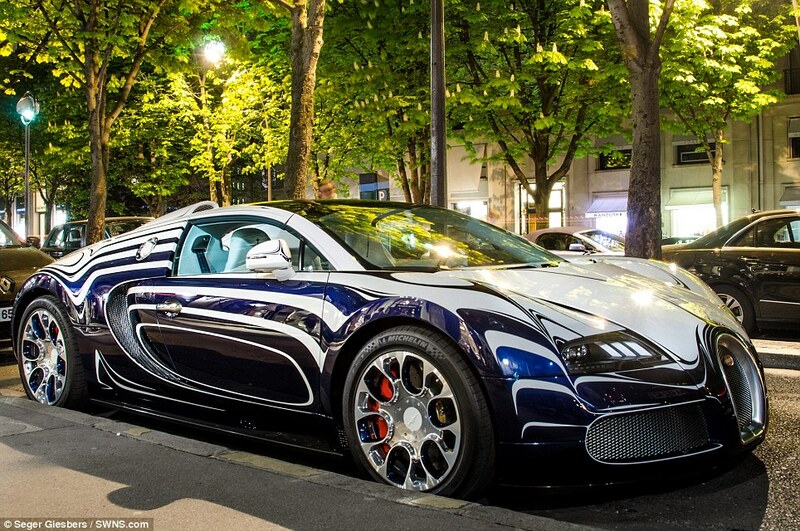 The outside view of Bugatti Veyron L'or Blanc is very alluring. Dominated by blue and white with unique graphics makes the car that uses a quad-turbocharged 8.0L W16 engine appeared very different from usual. The coloring workmanship have a fairly high level of complexity. Bugatti designers using precision tape directly imported from Japan were able to glue perfectly with sulfur-containing material plasticine. With the staining technique as this will result in a better light reflection is generated by the car's body. In addition to paint, the car also embellished with 12 elements of porcelain made of the Berlin-based best porcelain company. The porcelain is placed as the wheel center caps, fuel filler cap and interior trim pieces, and the EB logo embedded in the rear section were all fashioned by KPM from porcelain, most of it designed by hand. While inside the cabin, KPM put the standing elephant statues. These statues were created specially to add a unique feel to the Bugatti Veyron L'or Blanc. 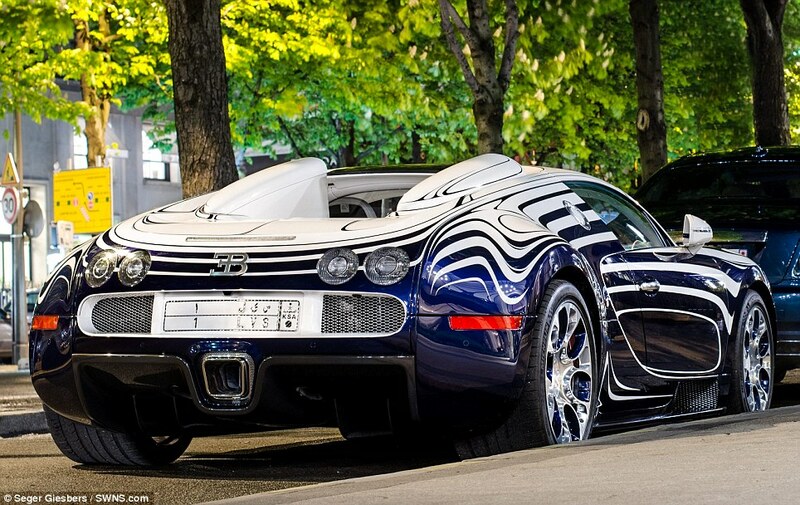 At that time, to get this special edition car, applicants must be deeply dug his pocket. Because the price offered is able to make you shake your head, which is about US. $2,5 million or approximately Rp. 32.4 billion. Currently, the car's price is estimated to be much more expensive.